In our early years, we are busy trying to create our lives. And then living them, the best we can. I am pretty sure that is how I ended up in that room, speaking that oath over 30 years ago. Truth be told, that is probably how most young people start their career as “future Veterans”. Its fashionable now to take the time to honor that silent support system, the families of the active duty military. It wasn’t this way when we were involved. We were a mystery to our hometown friends and family; they didn’t understand the hardship of separation, when a service member was sent away just a few weeks after his daughter was born. And even if you were never called away, there was always the specter of this possibility. It was something that we just lived with. Now don’t get me wrong, it wasn’t all serious all the time. I said before that one of the reasons many join the service is for the travel. For Hubby that was a selling point. It was a good thing too, since the job his recruiter sold him was one of the career fields that moved around the most in the Air Force; in fact they had more work for them overseas than stateside. He had the chance to live in Europe, ride his motorcycle from Spain to Germany on leave. He lived in a small outpost in Spain, and really go to know the locals. It was lonely at times, but an experience that is just not available to everyone in their early twenties. Arriving back to the states, he was stationed in Michigan just long enough to meet me, and then we were gone. Overseas again … well, kinda. Guam is a U.S. territory, but pretty foreign to a girl from Michigan and a guy from Oregon. And this part of his enlistment was by far the most fun, I think for both of us. We we able to travel from the island to Korea, Japan, the Philippines and even Northern Australia. We learned to dive, made friends, and even a baby! After his three years on Guam were almost through, we began to wonder where the military would take us next. A tour stateside was due, but you never knew. In the end we were sent to Fairfield, California. Stationed at Travis A.F.B. While we were there, the world around us began to change. The fall of the Berlin Wall occurred, on Nov. 9, 1989. Things began to heat up in the middle east. We enjoyed our stay at Travis, put down some roots and made friends. It was business as usual, until Iraq invaded Kuwait and we became involved. Hubbies jobin the military became less of a 9 to 5 occupation, and more like the real military with each newscast. Up to then, we were part of a unique group of military and veterans, having served during peacetime. No one that we knew on active duty had served during a conflict. Operation Dessert Storm changed that for us, well, mostly for Hubby. It would be his job to deploy overseas to set up first line communications for the troops. Our comfortable lifestyle would be changed, and the reality of that was more real than anything we had experienced. And we now knew what it really means to serve…. and to support those that serve. I guess he was lucky, the conflict ended and the threat of deployment went away. The political views of our country were changing too, with the end of the cold war. The military went through a period of downsizing; offering bonuses for members exiting the military, closing bases including the one in Michigan where we met. Hubby left the military and we began the next chapter in our adventure together. So what does it mean to serve? I can only tell the story of my own experiences. The truth is the military changed my life forever, opened doors for me that I would never have seen if I had taken a different road. Being a veteran is part of who I have become, part of my history with Hubby, a chapter of my life I would never re-write. The following photos are all that I can find relating to those years. Every photo I took (and there were many…) were in film format. 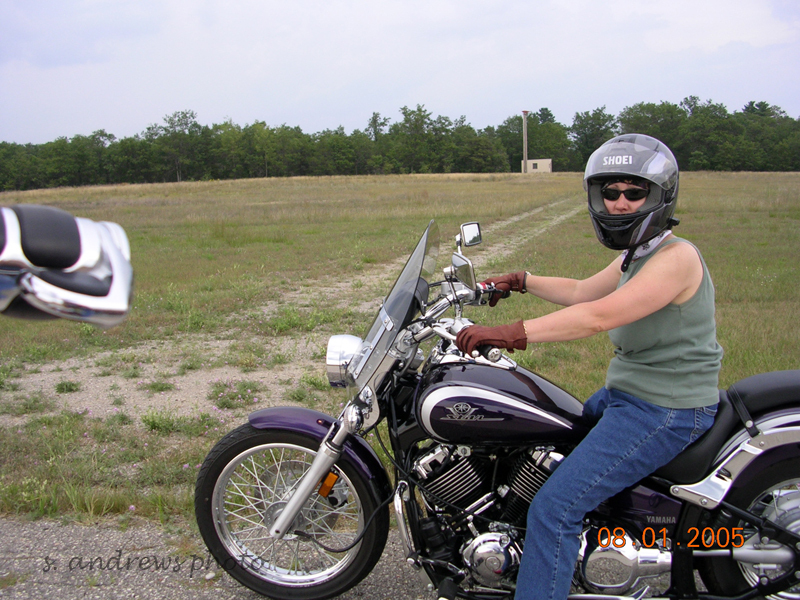 These photos are from a trip in 2005, we re-visited the now closed base in Michigan… a ride down memory lane. This is the shop where I first met Hubby, back in 1983. 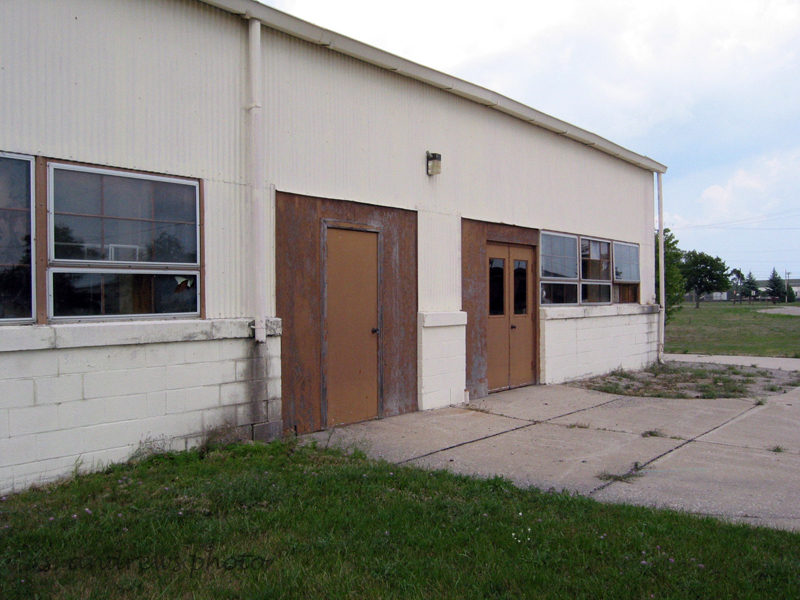 His workcenter was thru the right door, I was in the other side of the adjoining work space. 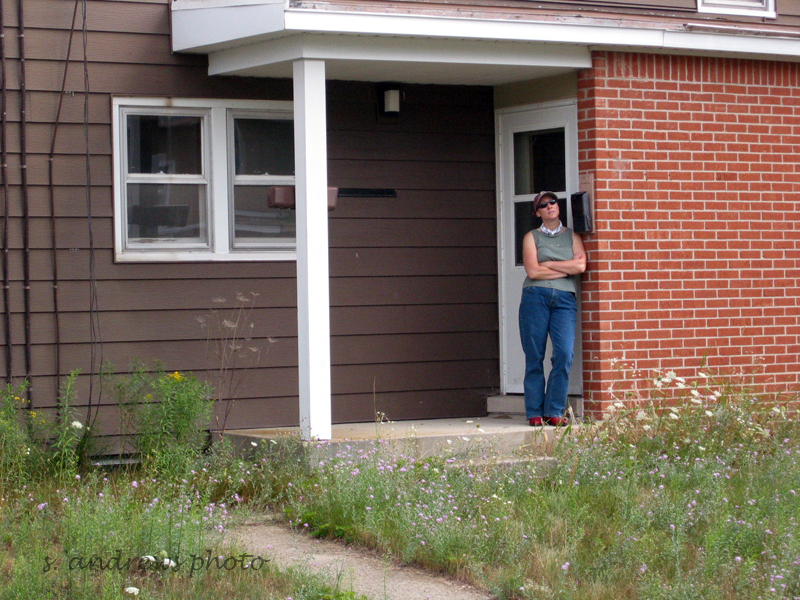 That’s me on the front door of the house we lived in on base. They tore down the houses here shortly after our visit in 2005. Me on my bike at the 06 end of the runway, where I used to work on equipment when I was stationed there. This entry was posted in out and about and tagged 11.11.11, Air Force, dessert storm, Michigan, motorcycle, US Air Force, veteran, veterans day, women in the military, Wurtsmith A.F.B. Thank you for your and your husband’s service. I don’t have a lot of personal experience with the military. My father was in WW2 but that was before I was born although I grew up hearing about it a lot and my father was proud of his service. I knew a lot of guys who went to Viet Nam, since I’m from that era, but no one that I was really close to. My then best friend’s boyfriend then husband was over there for 2 tours and I used to write him a lot. Later he was stationed at Luke AFB and I wound up moving to AZ because I wanted to leave IN and they let me live with them for awhile. They are long gone from here (and divorced) but I guess the times I spent at Luke were the most contact I personally had with the military. One of my current closest female friends enlisted back in the 70s, specifically for travel, as you mentioned, and it changed her life and made her want to live overseas permanently, and she does. Anyway, I’m rambling but I appreciate those who willingly choose to serve. You have an anazing gift girl. I felt like I was right there with you! Thank you Joby ~ part 3 in the series will find its way to the keyboard tomorrow. I went out and shot some new photos too, of the Veterans Memorial here in town.